2-Way View AED Sign - Automated External Defibrillator. 81750. Tara Materials Fredrix TAR-3520 8.5: x 11" Inkjet Canvas. 67820 Badge Holder Vertical. New. 12 Each. Accu-Cable 16 Gauge 3 Wire ECCOM-3. Extention Cord. 3 '. Advantus 75307 Fabric Panel Wall Clips. Standard Size. Apollo #18004 Lighted Pointer. New. ATTENTION If Belt Stops Please Retract Unit... Vinyl Sign. New. Aurora DT210M Dual Power Desktop Calculator. Battery and Solor. Avery 11013 Strung White Marking Tags. 1 3/4" X 1 3/32". Avery 26089 Index Tabs Self-Adhesive Tabs. Clear. New. 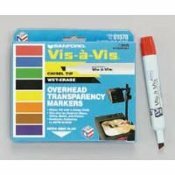 Avery 6466 Assorted Removable File Folder Labels. Avery 8160 White Easy Peel Address Labels. New. Avery File Folder Labels. Red. 05201. FF3DR. 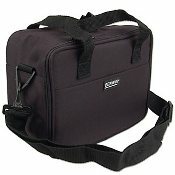 Benwin Canvas Bag. Black. 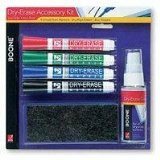 Boone Dry Erase Accessory Kit. 026426659677. New. Brass Padlocks with Keys. 20MM. 715278250155 Casio Label Printer Tape. XR9-WES. EZ-Label Printer Label It! Caution Read Instructions Before Operating. New. Vinyl Sign. CAUTION Do Not Operate Without Ear Protection Sign. New. CAUTION Fire Door. Do Not Block Sign. New. CAUTION Keep Aisles Clear Sign. New. Vinyl Sticker. CAUTION Keep Guard in Place Sign. New. Vinyl Sticker. CAUTION Keep Guards in Place Sign. New. 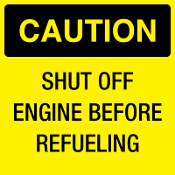 CAUTION Shut Off Engine Before Refueling Sign. New. CAUTION Shut Off Engine Before Refueling Sign. New. CAUTION Stop Machine Before Making Adjustments Sign. CAUTION Wear Goggles While Operating Sign. New. CAUTION Wear Your Gloves Sign. New. 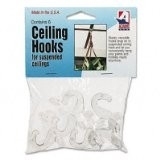 Ceiling Hooks for Suspended Ceilings. CEHD-1900S00. Charles Leonard (CLI) Black Tape Dispenser. 900-BK. New. Cole 03-6075-000L House Number 0. New. 4". Cole 03-6075-001L House Number 1. New. 4". Cole 03-6075-002L House Number 2. New. 4". Cole 03-6075-003L House Number 3. New. 4". Cole 03-6075-004L House Number 4. New. 4". Cole 03-6075-005L House Number 5. New. 4". Cole 03-6075-006L House Number 6. New. 4". Cole 03-6075-007L House Number 7. New. 4". Cole 03-6075-008L House Number 8. New. Cole 03-6075-009L House Number 9. New. 4". Cole 03-6304 Black and Gold Mylar Numbers. New. Cole Black and Gold Mylar Letters. 03-6303. 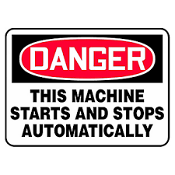 DANGER This Machine Starts and Stops Automatically. Vinyl Sign. Danger Disconnect Before Servicing Sign. New. Danger Equipment Starts Automatically... Keep Off... Sign. DANGER Use Lockout Device When Equipment Is Not In Use. DecoPlate 610026004229 Decorative Wall Plate. New. 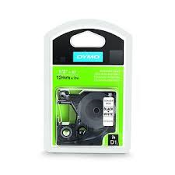 Dymo 45113 Standard Label. New. 1/2" X 23'. Dymo LabelWriter 30251 Two rolls of 130. 1 1/8" X 3 1/2". E Card Business Card 2753963 CD-R DIY Kit. New. Emergency Eye Wash Station Keep Area Clean Sign. New. 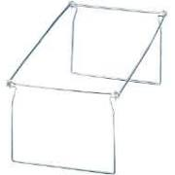 Esselte 18526 Pendaflex Hanging Folders. New. Retail Package. 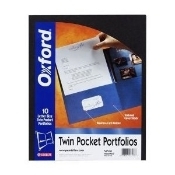 Esselte 51761 Laminated Twin Pocket Portfolios. New. Esselte Oxford 100 White Blank Index Cards. New. 40150-SP. Esselte Oxford 3" X 5" Tabbed Index Cards. White. Exit Sign. Electric. New. Ivory. Fellowes 48107 Adjustable Monitor Copy Clip. New. Fellowes 91932 Half Lumbo Roll. 077511919329. 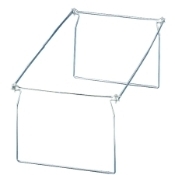 Fellowes 95375 Adhesive 3.5" Diskette Holders. New. Fellowes FEL97737 20" Gel Wrist Rest. Emerald Green color. Fire Extinguisher Vinyl Self Stick Sign 8 3/4" X 11 3/4". New. Fire Extinguisher Vinyl Self Stick Sign. 6 3/4" X 9 1/8". New. First Aid Engraved Sign. P/N: 834. 2" X 8". Plastic. First Aid Sign. Vinyl Sticker. New. 4" X 4". Green Letters. First Alert 83R Smoke and Fire Detector. UPC: 030699206810. Folding LED Reading Lamp. 490921401343. New. Free All. Deep Penetrating Oil. New. 12 OZ. Loosen The Stuck. Geocubes Padded Note Cube Bloc-Note. 500 Sheets. Handicap Sticker. Disabled Sticker. Blue and White. New. HP Greeting Card Paper. C1812A. New. OEM. IBM Wheelwriter 5. Used. IntetDesign 65536 Wall Mounted Double Hook. Ivory. Kinko's 94033 Clear Project Files. 9 Packs of 5. 45 Total. Ladies Bathroom Plastic Sign. Self Stick. New. 6" W X 7 1/2" H. Ladies Bathroom Sign. Self Stick. New. 6" W X 7 1/2" H.
Liquid Paper 70564-02001 Typewriter Ribbons. Correctable Film. 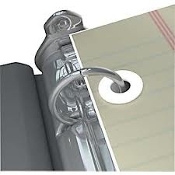 Magnetic Paper Clip Dispenser. #010-B. New. Mead 63462 Plain Index Cards. UPC: 043100634621. Mead 63580 25 Ruled Index Cards. 5" X 8". UPC: 043100635802 Men's Bathroom Plastic Sign. Self Stick. New. 6" W X 7 1/2" H. No Smoking Plastic Sign with 2 Screw Holes. 6" X 9". New. No Smoking Vinyl Self Stick Sign. 6" X 9". White with Red. New. Notice Authorized Personnel Only Sign. Y564119. New. Officemate 98630 Hanging Folder Frame. HF-LT. New. 6 Sets. OfficeMax OM11428 Push Pins. New. 0M11428. OIC Hanging Folder Frames. HF-LT. 042491986203. Paper Copy Holder For Monitor. HT-398. New. Peach 036 SE Handheld Pocket Calculator. New Peach Calculator 1234 E with Paper Tape Roll. New Peligro Alto Voltaje Sign. Spanish. Vinyl Laminated Sticker. Peligro Alto Voltaje Sign. Spanish. Vinyl Sign. New. Peligro Se Requiere Casco En Esta Area Sign. Spanish. New. 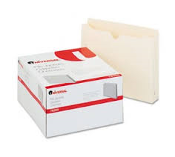 Pendaflex 62711 MicrobeGuard End Tab Fasterer Folders. Please Do Not Exit Plastic Sign. Self Stick. New. Premium Plastic Tablecover. 54" X 108". 680557005699 Rogers Calendar Base. 601012. 018421511203. 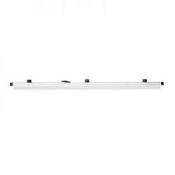 Safco 50046 Hanging Clamps for 36" x 48" Sheets. New. Sanford 95100 Stamp Pad. New. Sanford Cloth Stamp Pad. 95150. New. Scotch Address Labels. 3M. 5465. 25 Labels. New. Seton "Safety First Emergency Shower". Sign. New. 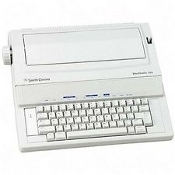 Smith Corona Wordsmith KA-11. Used. Sparco Brand. Extra Large Pastic Clips. 70 Clips. P/N: 85006 Stanley Bostitch Plus Pack. Stapler, Staples and Staple remover. Stanley Bostitch Standard Staples. 5000 Staples. 104489. Staples 166322 Clear Self-Adhesive Reinforcements. New. Targus Defcon SCL Serialized Cable Lock. New. Telephone Address Book and Calendar. New. 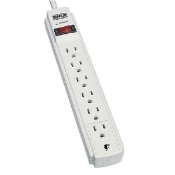 Tripp-Lite 6 Outlet Surge Protector. 750 Joules. new. Tripp-Lite PS5503M 2 Outlet Portable Surge Protection. New. Tyco Adhesive 702188 Invisible Tape Refill 2 Pack 1/2" X 500". Universal 76300 File Jackets. 50 Files Per Box. New. UPS Heavy Package Sticker. New. 70 lbs+/31.5 kg+. 40 Stickers. Velcro 91083 Straps Utility Ties. Black. 8 Straps. New. Warranty Document Organizer. 05050, New. Wet Floor Safety Cone. New. Wilson Jones 21471 Business Card Holder Binder Pages. 10-Pack.